Ice Ice Baby snow cone stand is now OPEN! 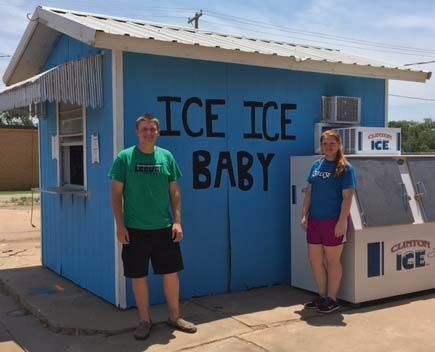 Ashton Carman and Farah Profitt are the proud owners of Leedey’s newest business. Ice Ice Baby is located right behind Wild West Insurance on Broadway. The hours of operation are Monday – Saturday 12:00 to 9 pm and Sunday from 12:00 to 6 pm. Let us help you keep cool this summer!